Ready to Help You Spec Your Next Project! Innovation is the cornerstone of AMICO’s product development. Over the past two decades we have led the technology race in perimeter security. Where we innovate, the others follow. AMICO’s advanced designs have set the standard for medium and high security perimeters for more than two decades. Customers who demand the ultimate in enhanced security choose AMICO. At AMICO, safety to the public and to electrical workers is paramount. Products such as AMICO’s non conductive perimeter system offer superior safety when it comes to unforeseen occurrences related to touch and step potential. 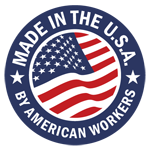 AMICO physically produces the mesh that goes into our perimeter solutions. This provides us the ability to control the raw materials and the production process – giving us the final say so in the quality that goes into our final product. 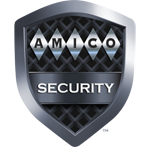 Contact an AMICO Security representative today!